As we know to learn the driving, first we needs to obtain a learner’s driving licence for the vehicle. 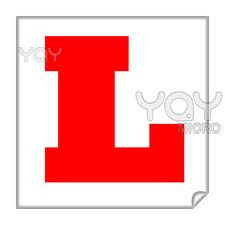 A learner’s licence allows us to learn driving with a regular and experienced driver of our choice. If we want to drive a motor car or a two-wheeler then we should be along with a friend, relative or an instructor of a driving school who holds a valid driving Licence. If we wish to become a professional driver and drive commercial, passenger or goods vehicles, we will have to get our self trained at a driving school duly recognized by the Transport Department. Learner’s licence is valid through-out the India for a period of 180 days only during which one should get his permanent licence for that category. In case of expiry of the learner’s licence, the applicant needs to repeat the same process. o The minimum age should be 16 years in case of 50 CC motor cycle without gear and 18 years in case of motor cycle with gear or light motor vehicle. o If age is between 16 to 18 years then consent/declaration of the parents to be given to licensing authority. o In case of above 50 years of age need to submit CMV Form-1 (with passport size photo affixed) issued by a registered medical practitioner with validity for 1 year only. o The minimum age should be 20 years in case of auto rickshaw, taxi, goods vehicle, bus etc. o The applicant should have cleared class 8 at school level. a. One year driving experience of Light Motor Vehicle (LMV) (Non- Transport) for issuance of LMV (Transport). b. One year driving experience of LMV (Transport) for issuance of HTV (Transport). o CMV Form-1A (with passport size photo affixed) issued by a registered medical practitioner with validity for 1 year only. o Who already have either a valid driving licence or a valid learner’s licence for a different class of vehicle are exempted from the preliminary test when applying for a new learner’s licence for a different class of vehicle. o Test will be conducted on the computer.Audio video test facility is also available if one has not knowledge of computer. All probable questions along with answers likely to be asked in test are available on the website www.transport.delhigovt.nic.in. This test is of multiple choice objective type questions. Applicant will get 10 questions randomly and each question has to be answered in 1 minute. For qualifying the test applicant has to get at least 6 questions correct.In case the applicant fails, he/she may re-appear for the test twice on any day from the next day in a week(no extra fee). Traffic signs and signals, rules of the road regulations made under the Section-118 of Central Motor Vehicle Act. Duties of driver when his vehicle is involved in an accident resulting in death or bodily injury of a person or damage to property of a third party. Precautions to be taken while passing un-manned railway crossing.